A new year has rolled around once again. And like most people, I spent the last few weeks of 2017 reflecting on the year about to close and outlining goals for the new year to come. Did I do everything I hoped I would do in 2017? Did I learn any lessons to bring with me into 2018? And more specifically, did my 2017 one-word resolution bring me what I was looking for, and how would that answer affect my word choice for 2018? I may not have done everything I set out to do in 2017, but generally speaking, it was a year filled with exactly what I was seeking: Balance. That was my 2017 word, a word so perfect for me that I almost wanted to repeat it for 2018. My word helped me to balance my body by incorporating yoga and other exercises into my workout routine to keep me injury-free, by eating more nutritious meals and by drinking more tea and less coffee as per doctors’ orders. I balanced my mind by making meditation and mindfulness daily practices and by returning to my love of reading by carving out time to disappear in a good novel. And I took advantage of my balanced space by using my Meditation Station and making sure it continues to be a stress-free space I can escape to anytime for meditating, practicing yoga or cuddling with my dog, who often joins me for yoga sessions. By the time I closed out 2017, I really did feel balanced. But as a writer who prides herself on having original ideas, I knew I had to come up with a new word. Balance had treated me well, but I had to build on that, not repeat it. I had to take those goals accomplished and lessons learned, couple those with the new challenges I found myself facing at the end of 2017 and forge forward with a different word. Despite my goal to balance every area of my life, my body had something going on that was beyond my control. Towards the end of 2017, when I found I could no longer ignore my near-constant pain and the myriad other pesky symptoms I was experiencing, I was forced to make a decision to advocate for my health and schedule a pretty major surgery that requires a lengthy recovery period. Suddenly, my health was in the spotlight, and getting well was all I could think about. Because of that, I knew what my 2018 word needed to be. My surgery was supposed to be shortly after New Year’s, but thanks to the worst timing ever of a blizzard, it was pushed back to this week. I thought by now I’d be almost halfway into my four to six week recovery, in the middle of my total focus on Wellness. But as we all know, life rarely goes as planned. 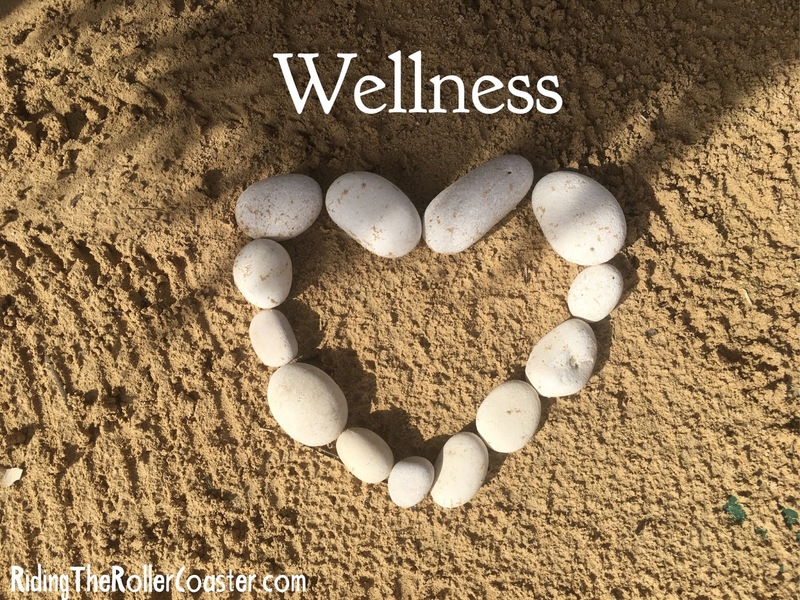 As I waited for the new surgery date to roll around, I shifted my Wellness focus from recovery to prep. I figured the stronger I am going into surgery, the more solid my recovery will be. I had 20 extra days to run, swim, practice my beloved yoga and meditation, and shed those holiday pounds I inevitably gain the end of every year. After surgery this week, my Wellness journey will switch back to recovery. Instead of running shoes and bathing suits, I’ll be focusing on rest and listening to my body’s cues. And then, when my body (and my surgeon) let me know I’m ready in late February or early March, I’ll shift gears again and gradually rediscover Wellness in those running shoes and bathing suits. Where will my 2018 word bring me from there? I’m not sure. My January has been all about taking life one day at a time, and I imagine I’ll be in wait-and-see mode for a good portion of the first half of this year. So far, I can say I’ve meditated every day in 2018 thanks to the Calm 30-Day Meditation Challenge I discovered on Twitter. As I learned from my 2017 year of Balance, meditation is beneficial for me in lots of ways, including stress reduction, pain management, sleep aid and maintaining a general sense of calm, so I plan to continue meditating throughout my recovery and beyond as an integral part of my Wellness journey. I expect each day my focus might be different than the previous day, but being patient and flexible are also big parts of my Wellness journey. For today, I’m focusing my Wellness on washing my hands like crazy and praying I can go a couple more days without catching the nasty flu that’s going around so this second surgery attempt will happen. As for tomorrow and the next day and the next day? I’ll just have to wait and see. So enjoyed your most recent column Wellness. I wish you luck on your surgery tomorrow and I have another piece of advice. BE SELFISH. Take all the time you need to recover, relax and get back into your routine. Don't try to do it all, listen to your body and don't cut corners and rush it. Your family will wait for you, they aren't going anywhere and they want you back whole and happy. Listen to your body and keep a positive attitude.